As you’re reading this article, it’s safe to assume that you already know all about the changes to the Requirements for Electrical Installations qualification. As you probably know, the former 17th Edition qualification was replaced by the all new IET Wiring Regulations 18th Edition qualification in July 2018. What you may not know is that, with the wonders of modern technology, you can now study for your electrical qualifications online, from the comfort of your own home and in your own time. Here at XS Training, we’re acutely aware that it can be a challenge to squeeze a training course into your busy schedule. 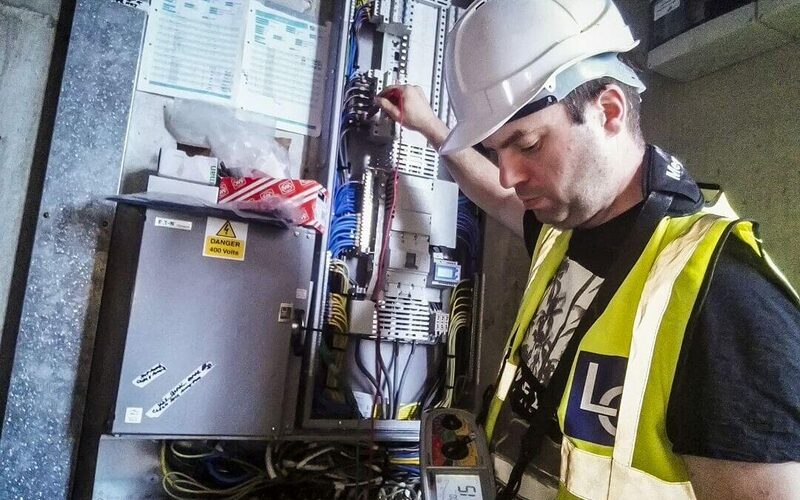 As a busy working electrician, or budding apprentice, attending a three-day course at an onsite training centre could be yet another time drain that keeps you away from your work or your family. Fortunately, via the wondrous internet, you can now take the 18th Edition – also known as the City & Guilds 2382-18 – course online. In this article, we answer some frequently asked questions and shine a light on some of the important benefits of taking the 18th Edition course online. Why should I take the 18th Edition course online? Online electrical training is quite simply the most convenient, and easiest, way to gain your electrical qualifications. The ‘traditional’ way to gain electrical training qualifications is to attend a course at an onsite training centre. However, having to be physically present, at the specified times, means taking valuable time away from your work. I’m sure you don’t need us to point out the cost in lost revenue and potentially losing contracts. Study in your own time – the biggest benefit of online training is that you’re not tied down to having to study the course in a specific place, at specific times. With our online 18th Edition course, you can study when and where it’s convenient for you. Our training system is specially designed so that you can easily access it on the device of your choice, whether that’s your desktop computer, laptop or even your mobile phone. Study at home, at work, or in the local coffee shop, with online training you’re in control of your schedule. You don’t have to travel or take time off work – the biggest cost involved in an onsite training course is usually the time investment, including getting to and from the training centre. We have exam test centres across the UK – when you are ready, you can simply book your exam at one of our many test centres throughout the country. We’re sure to have a test centre near you. Click to see our test centre locations, we have over 40 locations across the UK. Be amongst the first to qualify – with our online training you are in full control of your studying schedule. You don’t have to wait until the next onsite course is running near you. With online training, you can be one of the first to gain the new qualification. Who should take the 18th Edition course online? We think that everyone can benefit from taking the course online. Our online training platform has been designed from the ground up, to be simple, easy and intuitive to use. If you can send an email and browse the web, you can use our online training system. Whether you’re a practicing electrician, taking the qualification to join a Government approved scheme, or an associated professional such as a surveyor, consultant or tradesmen, our 18th Edition online training system has been developed with you in mind. How much does it cost to gain the Requirements for Electrical Installations Award with an online course? At just £240 (+ VAT) including the exam, qualifying for the new qualification with our online 18th Edition course is typically cheaper than an onsite course. Alternatively, for £120 (+ VAT), you can purchase and study the 18th Edition online course only, with no exam or registration fee. I’m in! How do I get started on the 18th Edition online course? It’s quick and easy to start the 18th Edition Online Course with XS Training. Click here to book your course now. If you have any questions at all, click here to contact us, or call David on 07985 793094, or Stuart on 07507 718465, we would be happy to provide any further info that you require.